While Eminence Ensemble’s musicianship impresses most, it’s their ability to cross and bend genres so fluidly, meticulously and with purpose that sends fans on a unique journey. The 6-piece band takes you down the rabbit hole with soulful vocals and playful lyrics to reach new levels of transcendence. EE waits for no one and their tenacity is real. Despite attempts at categorizing Eminence Ensemble, the band has interest and heart for every genre and has devoted its craft to making you feel as if you too are a part of the journey. When you attend an Eminence show, you’ll hear influences from 80’s hard rock, 70’s soul and funk and 00’s R&B. Their live shows are hard to pinpoint, as streamlined as they are unique, light-hearted as they are dark, but never boring. 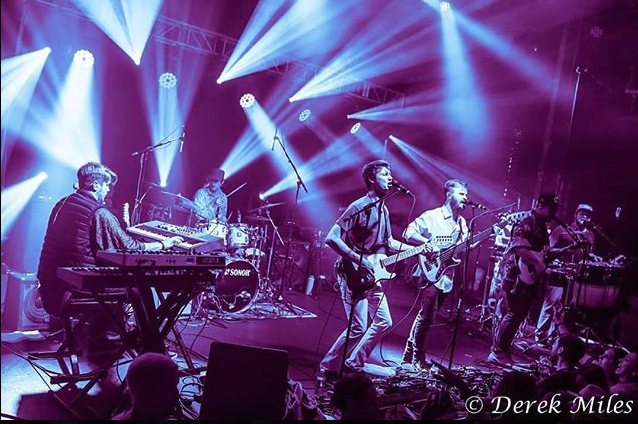 The Denver-based sextet has performed at Electric Forest, Euphoria Music Festival, The Werk Out, Friendly Gathering and more. Eminence Ensemble is more than just a rock band, they’re a rock band who jams with heart and soul.